The crystals have formed as two generations. In the first it has created white prisms and in the second the prisms are exceptional for their growth, brilliance and transparency. A gift from a German engineer (he does not give his name) who collected it in the mine in 1921. 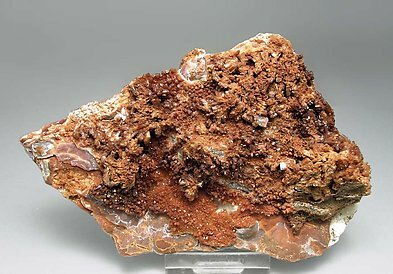 Small crystals of this rare hydrated zinc phosphate: Hopeite. 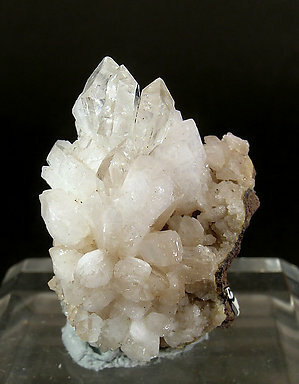 Crystals show very sharp faces and edges, with some internal zoning, probably inclusions of Goethite, on a Smithsonite matrix.